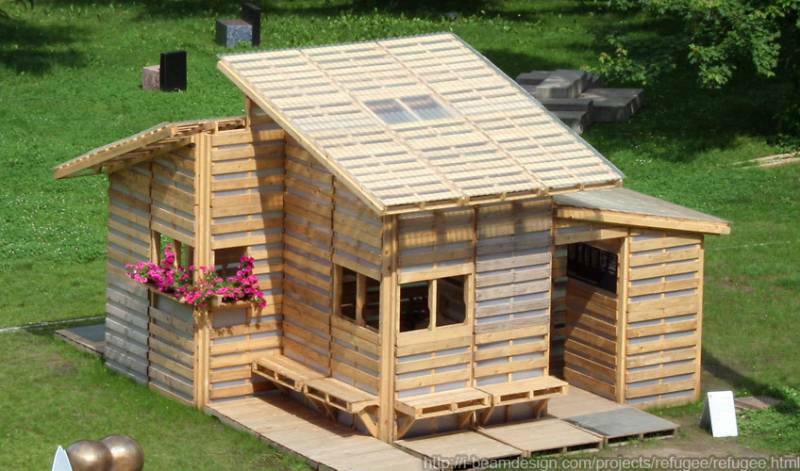 Pallet cabins are one way to affordably build a DIY tiny home using cheap, recycled materials. 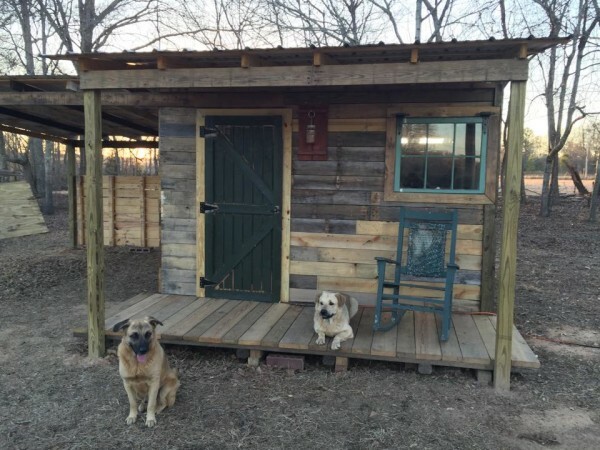 While not log cabins by any means, cabins made from pallets nonetheless adhere to the mindset of green building by utilizing recycled materials and follow the tradition of self-sufficiency. Building a tiny cabin reduces your environmental footprint and saves you money as well, both while building and in the long run. Used pallets provide a wood source that are readily available to almost everybody and are generally free for the hauling. By following the reuse and recycle mindset, re-purposing pallet wood not only keeps them out of the landfills and saves money, it sometimes even gives you an interesting supply of woods from around the world. 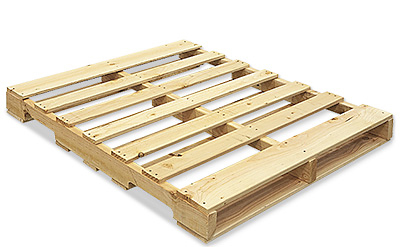 Many businesses receive shipments on pallets and then discard the pallet itself. Often you can find stacks of pallets to be disposed of by driving behind businesses and through alleys. Go dumpster diving. You can check on Craigslist in the “Free” section, as well. Businesses have to pay to have these removed so you are doing them a favor by taking the used pallets off their hands. Photo courtesy of www.thepalletcabin.com and www.facebook.com/thepalletcabin. Top and bottom deck boards are typically 5/8" thick and range between 3 ½” to 5 ½” wide. These are the most useful boards to use for lumber. By carefully deconstructing the pallets you can end up with a stack of rough-cut boards 4-feet long that can be used for wall covering, trim, window bucks and other building elements. Use a crowbar for maximum leverage when taking them apart and be sure to remove the old nails so you don’t hit them with a saw when making cuts. 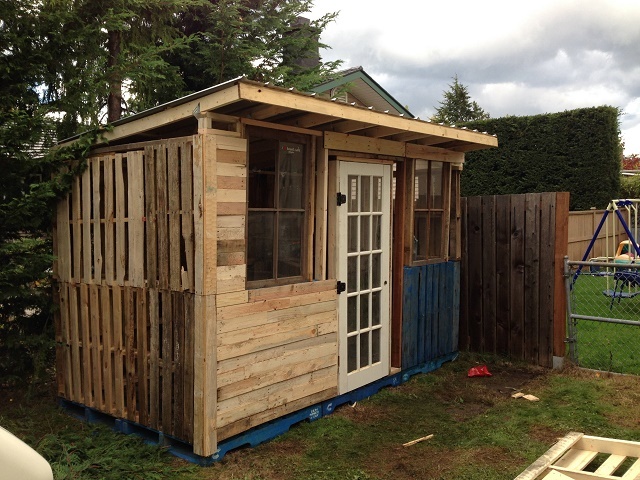 In its most basic structure, you could build your pallet cabin walls using entire pallets stacked edgewise. Secure them and stiffen the wall by screwing them to longer supports made from standard lumber. But this won’t give you a very sturdy or stiff structure and the amount of work required to build around the unwieldy pallets seems excessive. A better idea is to use the pallet boards as a source of free lumber. Once you’ve disassembled the pallets you are left with ⅝” rough-cut boards that are 4-feet long and these can be used for interior and exterior wall covering. By staggering the alignment of the pallet wood you can make a sturdy and attractive rustic cabin. Frame your walls in the normal fashion and cover with the pallet boards. Try applying them diagonally to break up the monolithic effect of running everything in the same direction. Save more money when finishing your pallet cabin by painting the exterior with pre-mixed, leftover paint from one of the big box stores (so-called “Oops paint”), or buying paint from a thrift store. To keep it more natural, you can treat the wood with a wood preservative and penetrating oil such as Preserva-Wood or Penofin, or make your own using a mixture of one part linseed oil to five parts turpentine. Or you could opt to simply leave it to weather naturally. Additional savings can be found by sourcing old windows and doors from houses being demolished or stores such as Habitat for Humanity’s ReStore, where they sell second-hand building materials. Buy your windows and doors first; that way you can design and build your cabin around them, in case they are unusual sizes. 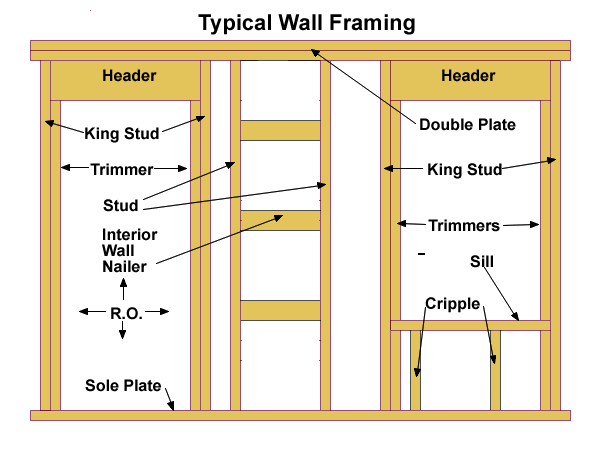 If you’re not worried about having windows that open, you can frame in fixed glass for windows. Again, check thrift stores or second-hand building supply stores for glass you can recycle. You could also construct your own doors by cutting a sheet of plywood or Advantech to size and covering with a pattern of pallet boards. This would create a stiff door that won’t rack or sag with use. Keep the cabin roof straight-forward with a simple slope, rather than a pitched roof. Set up rafters for support and cover them with your pallet boards, staggering the joints for extra strength in the roof decking. Cover with tar paper and whatever roofing materials you have decided upon, such as sheets of metal roofing. I-Beam Design has designed this pallet house prototype, claiming that 21,000,000 pallets end up in landfills, and that 84% of the world's refugees could be housed with just a year's supply of recycled American pallets. 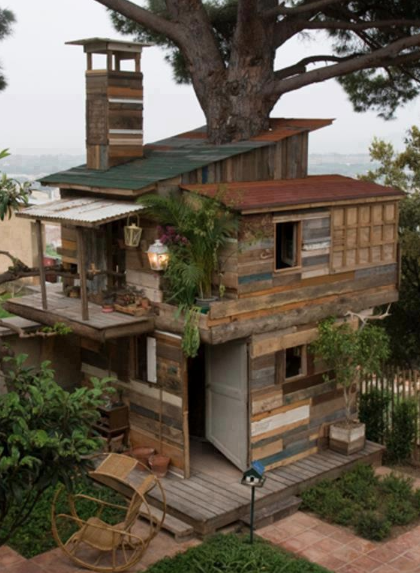 It’s a beautiful example of what can be done with reusing and recycling materials around the world. Pallet cabins are one way to reduce your environmental footprint and save money by reusing materials that normally end up in landfills. By being creative and open to new ideas, you can build your own small cabin for very little money and wind up with a unique and affordable tiny house.